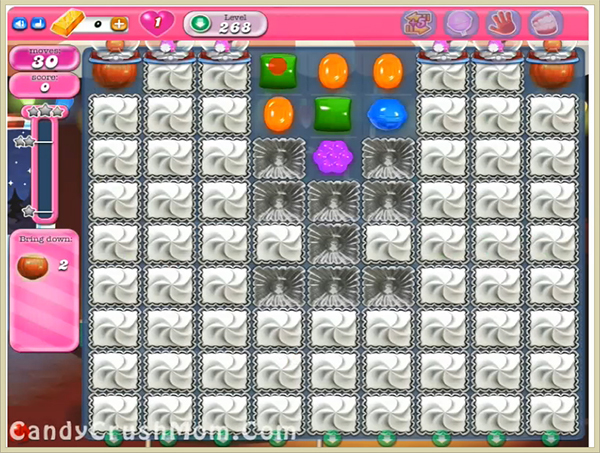 This level have normal difficulty and you need to use special candies strategy to complete this level. For this level you should play from bottom and break as much blockers you can and then try to make special candy like colorbomb or striped candy. After try to combine these special candy and then play near to ingredients to them to the bottom as soon as possible. We completed this level with 567580 score use special candies and combo plus reach requirement with three star score before eight moves.